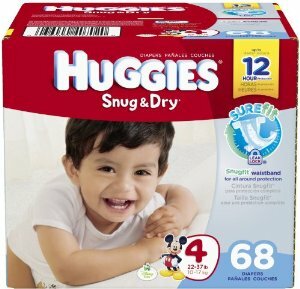 Baby Deals – Top Baby Deals You Can Get This Week! 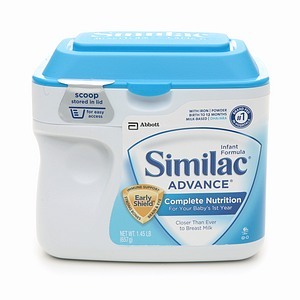 Here are the top deals for baby products that you can score this week on baby products. This post is updated throughout the week, so check back. 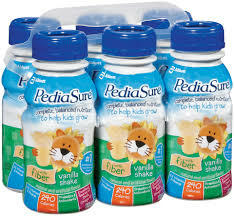 Purchase $30 get $10 or Purchase $40 get $15 on Huggies Big Pack diapers, Pull Ups, Goodnites, or Huggies Wipes 184 ct, Similac, Pediasure, Johnson’s Baby, or Baby Aveeno products. (limit one $15 ecb) If you’re new to shopping at CVS click here to learn more. Pay $35.47. Get back a $15 ecb reward! Final cost: $20.47 for all three products! Final cost: $18.96 for all…just $4.74 per item! Final cost: varies. Get back a $10-$15 ecb! *There are more CVS deals this week such as free paper towels and Dial Body Wash / Bar Soap! Click here to check out the deals! If you’re new to shopping at Rite Aid you can click here to learn more. Final cost: $13.99 – $14.49! If you’re new couponing at Walgreens head over here to learn more. Final cost: $13 for all 3 products! $4.33 each! If you’re new to couponing at Meijer you can head over here to learn more. 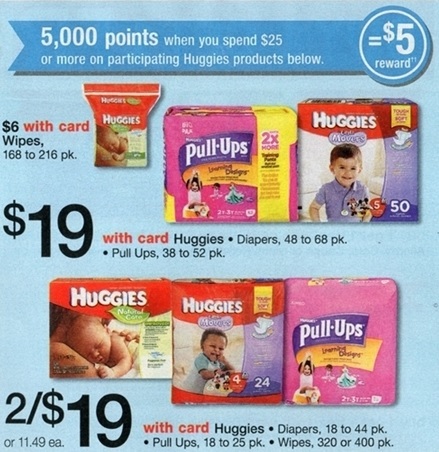 If you’re an mperks user be sure to activiate the baby reward before you shop. 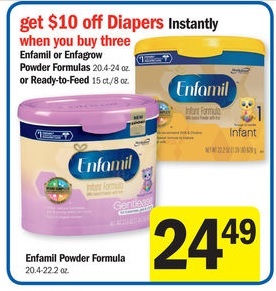 use any Enfamil checks/coupons you may have received in the mail and you can still use diaper coupons with the $10-off instantly promotion. Pay $84.97. Get back a $10 reward in your mperks account within 24hrs to use on your next Meijer purchase! Final cost: Sun-Thurs $74.97 for all items. Fri/Sat $69.90 for all items! 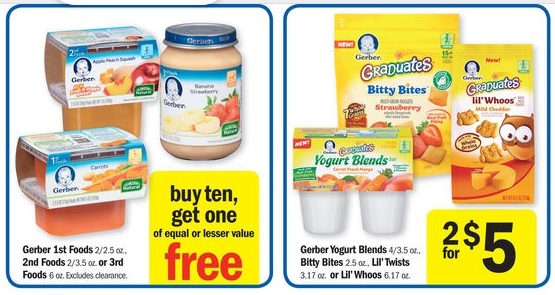 Gerber 1st, 2nd, and 3rd Foods Buy 10 get 1 Free! This entry was posted in Baby Deals. Bookmark the permalink. ← No Coupon Inserts This Week!